MV, HV, and EHV Circuit Breakers – Crest Test Systems Pvt. Ltd.
Sulphur Hexafluoride (SF­­­6) Circuit Breakers are commonly used for medium voltage (MV), high voltage (HV), and extra high voltage (EHV) power generation and distribution systems. HV and EHV applications exclusively use SF­­­6­ ­circuit breakers. Circuit breakers protect industrial plants, electrical machines, transformers, transmission and distribution equipment, and generators. These devices switch off an electrical circuit in case of an over current or short circuit condition occurring downstream. 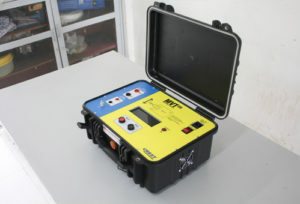 If a circuit breaker fails to operate or operates incorrectly under these fault conditions, it can cause severe damage to itself and to the equipment connected to it. 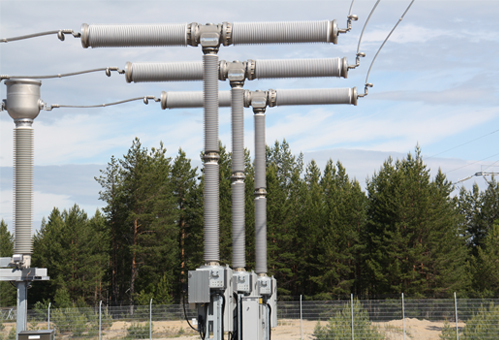 This can result in huge revenue losses due to outages on the transmission lines. In many cases, the circuit breakers may be standing still for a number of years without operating. But, when an abnormal condition occurs, they need to operate within a few milliseconds to isolate the fault and protect the system. SF­­­6 circuit breakers contain a number of moving parts that are working in close coordination. They require periodic inspection and maintenance to ensure that they operate reliably when required. 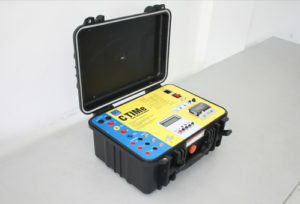 Contact timings, contact bounce, non-simultaneity of contacts, contact travel and speed measurements, current and voltage characteristics, static and dynamic contact resistance, insulation tests, etc. 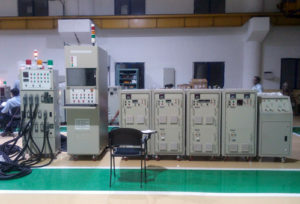 are some of the tests performed on SF­­­6 circuit breakers. 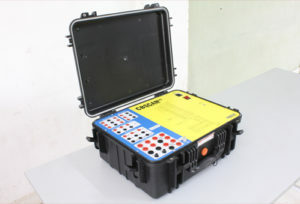 However, in addition to the above tests, gas pressure measurements are also critical for SF6 circuit breakers, as any gas leakage could prove devastating to the breaker operation. 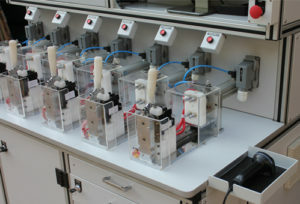 Crest manufactures a full range of SF6 circuit breaker testing products for gang operated and individually operated CBs in single, double, and four interrupter series configurations for OEMs to ensure the quality of the product before delivery and for end users to ensure optimum performance of their assets.